ICICI Bank is one of the leading private banks in India. The bank is well-received in India and known to offer customer-friendly services. ICICI Bank enjoys global recognition and currently, it is offering its services in more than 20 nations. Using the modern safety and banking methods, the bank ensures that they maintain security to avoid any financial trap. ICICI Bank offers a gamut of credit cards, each card offers discounts, reward points, competitive interest rates, hassle-free application process, relaxed eligibility criteria, joining benefits, and pre-loaded offers. With so many benefits offered by ICICI Bank credit cards, anyone can be tempted to have one in their wallet. 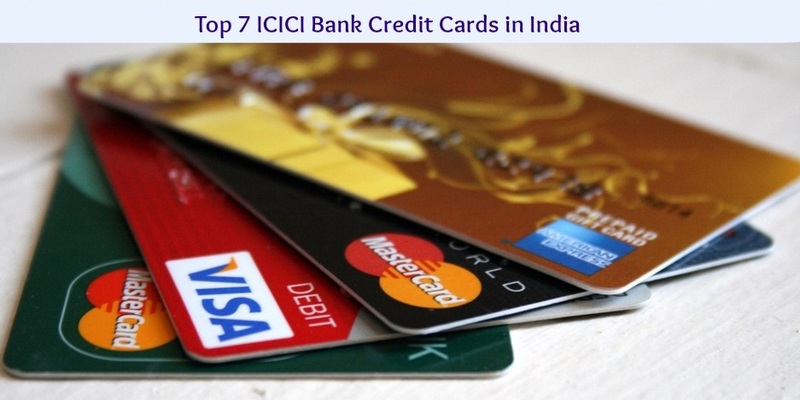 So, if you also want to have one, let me make your search easier by discussing the top 7 ICICI bank credit cards. ● An apt card for shopping. ● There is no annual fee and joining fee. ● Accumulated points can be further redeemed for attractive gifts. ● As a cardholder, you get to enjoy Rs. 200 off on movie tickets every month. ● There is 15% discount offered on some of the well-known restaurants. ● You are offered 2.5% fuel surcharge waiver for the transaction up to Rs. 4000 at HPCL pumps. ● You get to earn 3 payback points for every Rs. 100 spent o the card. These points can be redeemed for attractive gifts and it is also valid internationally. ● On joining, you will get a complimentary Bose IE2 headphones. ● The card has an annual fee of Rs. 3,500 from the second year onwards and the fee will be waived off when you spend Rs 5 Lakhs in the previous year. ● When you shop using the credit card, you will earn 2 reward points for every Rs. 100 spent domestically and 4 reward points globally. You get to redeem these points for air miles, holidays, dining, fragrances, gadgets, apparels, etc. ● All you need to spend more than Rs. 1 Lakh on your credit card and you will get one complimentary round of golf the following month. ● Enjoy dining at any participating restaurant and enjoy 15% off on the bill. ● You will get 2.5% fuel surcharge waiver on your fuel transaction worth Rs. 4,000. ● You will receive a Sennheiser HD219 headphone as a welcome gift when you have made the payment for the joining fees. ● As a cardholder, you will also enjoy 2.5% fuel surcharge waiver on the fuel transaction worth Rs. 4,000. ● The credit card comes equipped with an embedded microchip offering protection from any probable incident of forgery. ● You also get to enjoy around the clock concierge services, offering assistance while making hotel and travel bookings. ● You are offered 2.5% surcharge waiver on fuel transactions having a maximum amount of Rs. 4,000 across India. ● As a cardholder, you only have to pay a one-time fee of Rs. 1,000 and you don’t need to pay any recurring annual fee. ● You get to earn 2 payback points for every Rs. 100 spent on the retail purchases, this excludes fuel purchase. ● Buy one ticket and get 1 ticket free any day when you make a booking from BookMyShow. ● As per ICICI Bank Culinary Treats Programme, you get to save 15% off on your dining bill at all participating restaurants. ● As a welcome benefit, you get 30,000 hand-picked rewards. Redeeming these points through Hand-picked rewards catalogue, including some of the popular brands, is great fun. ● Whenever you fill up at any petrol station, across the country, your fuel surcharged will be waived off. ● With a Visa Signature credit card, you are entitled to a ‘Priority Pass’. Using this pass, you enjoy access to more than 600 selected airport lounges around the world. ● i-Assist is your personal concierge service around the clock. i-Assist will help you in making hotel reservations, bookings for travel and car rentals. It also helps you in emergency medical situations. ● When you purchase a fuel, using the credit card, worth Rs. 4,000 at any HPCL pump, you will get 2.5% surcharge waiver. ● Using this credit card, you get to enjoy various Platinum benefits on – shopping, dining, hotels, traveling, from Visa. ● With your Platinum credit card, when you spend on anything except fuel, you get to earn 2 payback points. You get to avail exciting products on redeeming these points. ● For every Rs. 100 spent on fuel purchase, using the card, you will receive 2 payback points. You can redeem these points to get some exciting products. ● As a cardholder, you get to enjoy Platinum benefits on – dining, traveling, shopping, hotels from Visa. ● When you purchase petrol worth Rs. 4,000, using ICICI Bank Platinum credit card, at any HPCL petrol pump, you will receive 2.5% fuel surcharge waiver. 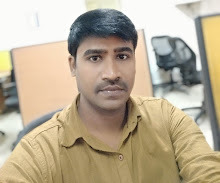 Author Bio: Deepali is a freelance writer. She is an expert in inbound marketing, content marketing, and lead generation.